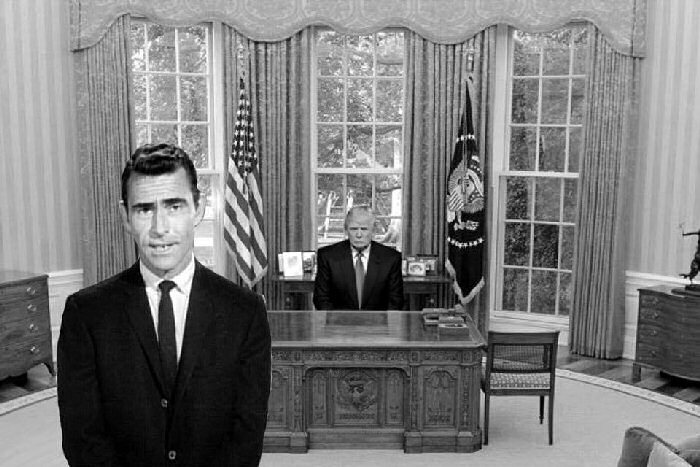 “The Twilight Zone” was an American television series created by Rod Serling (1959-64). The episodes are in various genres, including psychological horror, fantasy, science fiction, suspense, and psychological thriller, often concluding with an unexpected or macabre twist. A popular success, it introduced many Americans to common science fiction and fantasy tropes, quite like the current U.S. Presidential Election.